Villa Pileggi takes great pride in our organically grown olive oil. Click here to find out why it is so special. PLEASE NOTE: Our CAFE & SHOP is now OPEN every SECOND Saturday of each month. For bookings call Carmela 0412118587. The Pileggi family hopes that you enjoy exploring our internet site. Here you will find out about our wonderful olive oil and how, through traditions passed from generation to generation, it is grown, harvested and processed into the finest organically grown olive oil. Please come and visit us soon in our new retail outlet at 65 Leslie Road, Gisborne, Victoria, Australia, 3437. We're open most weekends - you can call on 61 3 5428 1910 to check opening times. 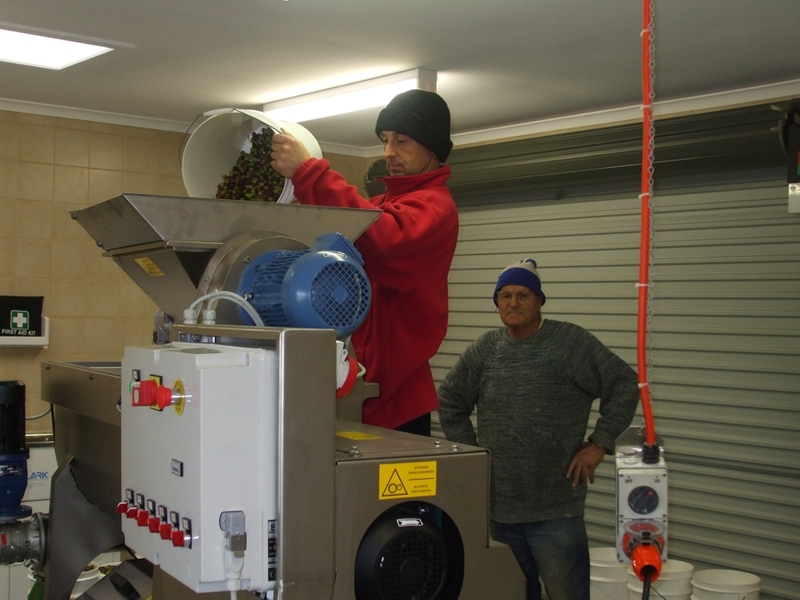 Have a look at our new video explaining how we make our organic olive oil! adherence to the world's best practise. Our time at Villa Pileggi was both an experience and joy." "We would like to select one product we have discovered from Villa Pileggi to discuss as our favourite. After intense family discussion it was agreed this was impossible! What was agreed was that by definition, quality, locally grown, organic produce that makes great food taste ‘spectacularly’ better, is a food loving family's dream." The best thing about John Pileggi’s cold pressed olive oil is not its versatility, nor the fact that it is organic. While these attributes do contribute to its distinct taste, there is something more to John’s frantoio oil. What is immediately evident when using this product, whether it is in a soup, in a vinaigrette, a salad or eaten simply with a piece of crusty ciabatta, the roots of this fine oil are ever so present. 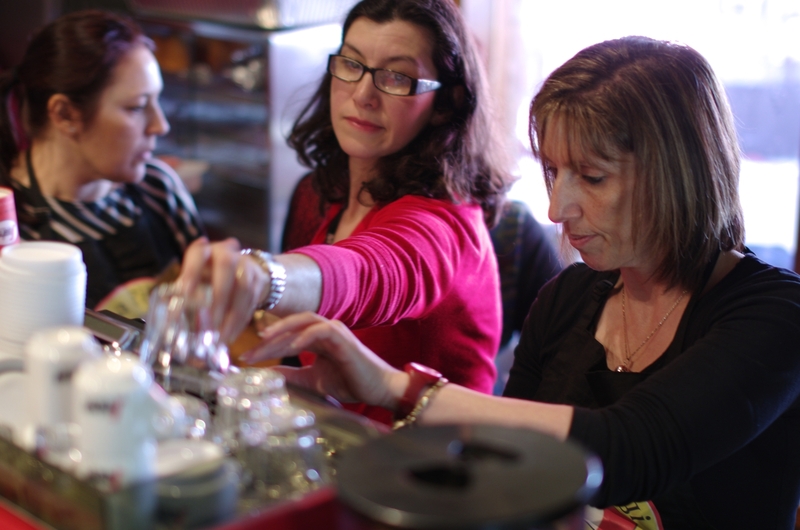 The care and dedication that John pours into his product are immediately observed at first taste. The strong commitment to upholding the mother country’s traditional methods of production is clear and is what separates this drop of oil to all others. Trust me, with just one taste, you’ll never shop elsewhere." 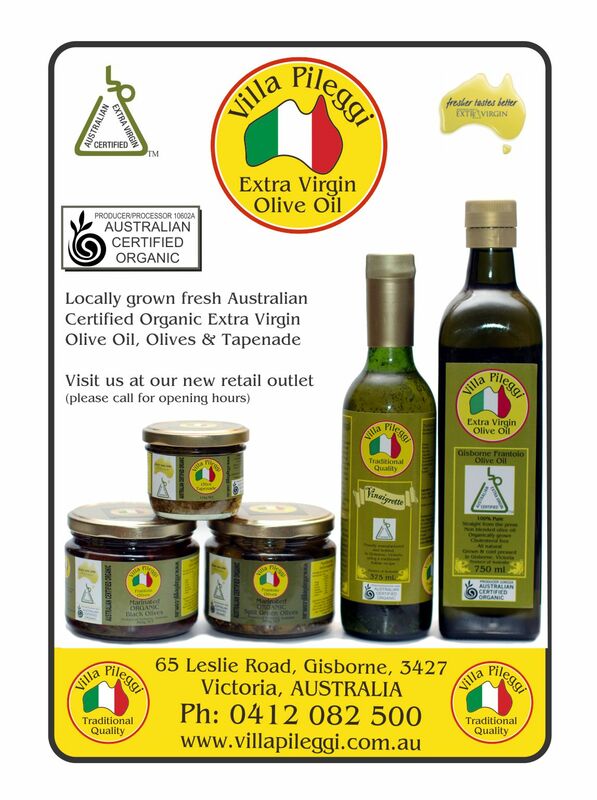 "Villa Pileggi olive oil will never disappoint. Whether its used as a dressing on a salad, as a vinegarette or in a hearty Italian minestrone or pasta it's rich taste is ever so present. It's status as a boutique olive oil is clear, the quality undeniable. The care and dedication put into this cold pressed olive oil is what separates it from other products on the market. And best of all, the fact that its organic makes it the perfect oil for the health conscious." "Vinaigrette Dressing a salad - I didn't know what a great salad was until I found this wonderful Vinaigrette. I don't usually eat salads, for one reason, they are boring. Since discovering the Villa Pileggi Vinaigrette, I habitually eat them for weeks on end, or until more precisely the Vinaigrette ran out. I've put in another order and will happily resort to my happy salad days! Thanks John, Lovely stuff this Vinaigrette !! cheers"
"It was a great day what more could one ask for food , drink, music , walk though the olive grove, friendly people, a variety of stalls for young and old and lots of people and conversation everyone was happy to be a apart of the experience"